2018 has been Pujara's year of reckoning. 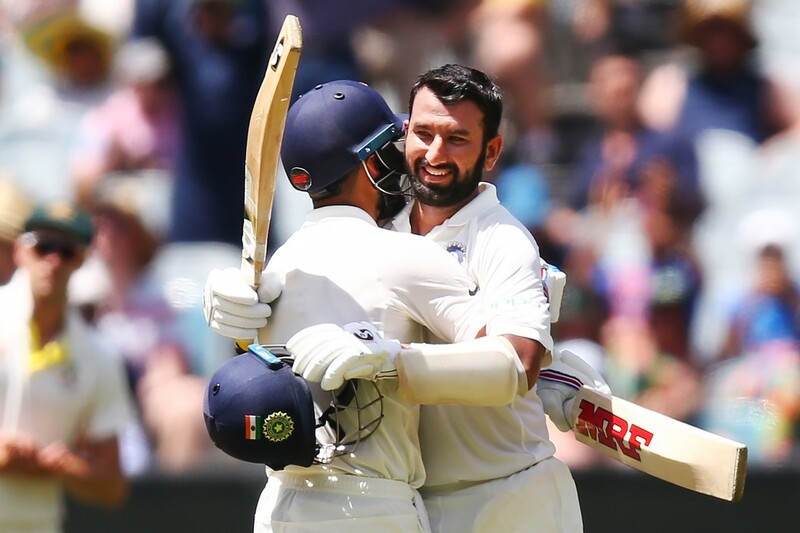 Cheteshwar Pujara’s 319-ball vigil at the crease at Melbourne highlighted a strong day for India in the Boxing Day Test on Friday with the top-order batsman registering his second ton of the series in the process. It wasn’t the most aesthetically pleasing to the eye knock from Pujara, but it was one which perfectly embodied everything that makes the India man tick as a top Test batsman. 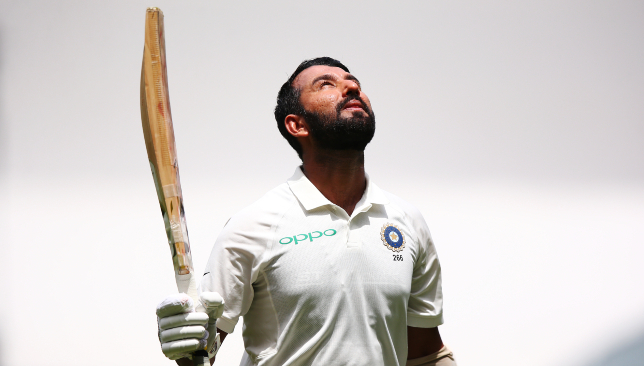 Taking 280 deliveries to get to the three-figure mark, Pujara brought up the slowest of his 17 Test centuries in an innings which bore testament to his immaculate powers of concentration at the crease and the supreme price he puts on his wicket. A strike-rate of just over 33 might not make Pujara’s innings the most exciting to watch but for a cricketing purist, there is no better sight than to see a batsman grind down the bowlers with an old-school technique and temperament that is fast becoming a rare sight in modern cricket. That a batsman of Virat Kohli’s calibre struggled to stamp his authority, despite scoring 82, showed that the Melbourne pitch was not an easy one to bat on. Despite his slow-scoring rate, it was Pujara who managed to look the more authoritative of batsmen from the two. It has been a stark turnaround in overseas fortunes for the 30-year-old batsman whose credentials at home have always been unquestionable. However, his overseas record told a different tale with just one ton to show for in 17 away Tests heading into 2018. A momentous innings from Pujara at the MCG. His 2018 did not get off to the best of starts either as India’s batsmen, bar Kohli, struggled heavily on the tour of South Africa. Despite registering a vital half-century in India’s 63-run win in the third and final Test at the Wanderers, Pujara’s place in the side was thrown into question when the team toured England in the summer. The right-hander was dropped from the playing XI for the first Test between England and India at Birmingham with doubts being raised over his slow run-scoring tempo. Pujara was summarily reintroduced into the playing XI as the series wore on and showed his class with a 72 in Trent Bridge, before registering an unbeaten 132 at Southampton. Despite being one of the better Indian batsmen on the tour, there were still question marks over Pujara’s spot in the side when India flew down for the tour of Australia. With the series now approaching its climax, Pujara’s overseas credentials have well and truly been strengthened. Since 1 Jan 2017, Cheteshwar Pujara is the only batsman to face over 4000 balls in Test cricket! He has so far faced 4633 balls in 40 innings i.e. facing an ave of 116 balls per innings. In 10 overseas Tests this year, the India man has registered three centuries with all of them coming under testing conditions in England and Australia. No batsman in international cricket has faced more deliveries in Tests since January, 2017. Over the past two years, Pujara has faced a staggering 4,633 deliveries in 40 innings at an average of nearly 116 per innings. That statistic in itself sums up everything about Pujara as a batsman and it pleasing to see the classical batsman final get his dues. With more than 2,000 overseas Test runs under his belt now and an average of nearly 40, he is finally fulfilling the promise he has shown ever since he was racking up the mammoth scores in domestic cricket. It has taken some time coming, but Pujara has finally turned into the ‘Wall’ India have been searching for in overseas conditions following the retirement of Rahul Dravid. Tim Paine was at it again with his on-field banter. Time Paine and his men might have endured a frustrating day on the field in the Boxing Day Test against India on Thursday but the Australia skipper did manage to have some fun in the middle with some cheeky banter. The hosts were put through the grind by India’s batsmen on day two of the third Test at the Melbourne Cricket Ground as the visitors declared their first innings at 443-7. The Aussies were made to toil in the field for almost 170 overs over the course of two day with Cheteshwar Pujara’s second century of the series the highlight of the second day. 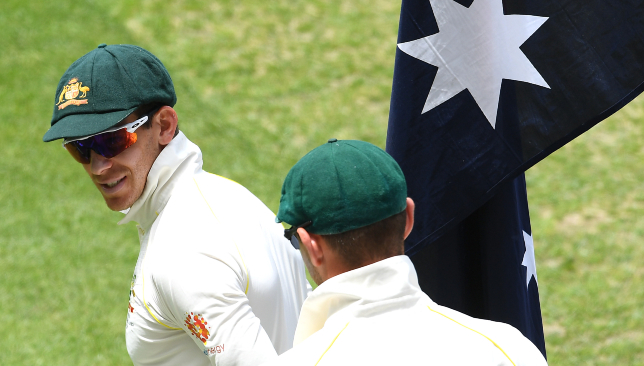 With wickets hard to come by for the hosts’ bowlers under the high heat and humidity of the Australian summer, Paine did his utmost best to induce a lapse in concentration in the Indian batsmen. When Rohit Sharma was batting in the middle against Nathan Lyon, the Australian wicketkeeper made a cheeky reference to the batsman’s IPL franchise Mumbai Indians in a bid to make him shed his restraint approach at the crease. “It’s been a toss up for me between (Rajasthan) Royals and (Mumbai) Indians, and if Rohit hits a six here, I am changing to Mumbai,” Paine said from behind the stumps much to Usman Khawaja’s bemusement in the slip cordon. The Indian batsman did not succumb to the temptation ultimately but full marks to Paine for the effort. The Aussie captain could not resist getting in a dig at arch-rivals England too as he continued the on-field banter. “Too many Poms at the Royals,” Paine said in reference to Rajasthan Royals’ huge English contingent comprising of Jos Buttler, Ben Stokes and Jofra Archer. On a day where attritional cricket from India once again ruled the roost, Paine’s witty banter might just have been the high point for Australia. 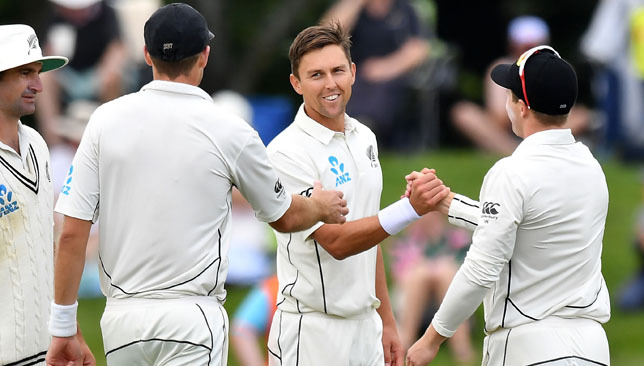 Trent Boult put New Zealand firmly on the front foot in the second Test against Sri Lanka – taking six wickets in 15 balls as the tourists collapsed. Angelo Mathews and Roshen Silva started day two at the crease, chasing a 90-run deficit on 88 for four after bowling New Zealand out for 178. Five overs into the day and Boult had his first victim, Silva holing out for 21. Three more wickets fell in the 39th over of the innings, Niroshan Dickwella caught by Tim Southee for four before Dilruwan Perera and Suranga Lakmal fell lbw on consecutive balls. The hat-trick ball was negotiated but Dushmantha Chameera’s dismissal sealed a five-wicket haul and Lahiru Kumara was caught lbw as the tourists only put on ten runs for six wickets – four of which came off the bowling of Boult. Jeet Raval and Tom Latham (74 no) then helped the Black Caps stretch their lead out, combining for a partnership of 121 before Sri Lanka struck just after tea dismissing Raval for 74. Kane Williamson (48) fell just short of a half-century and the home side will resume on 231 for two.